In 2014, life will be very busy and hectic for people of the Aquarius zodiac sign. It will require both patience and endurance to accomplish all you need to do. Peace at work is improbable. Your boss and buyers will demand more time. Loved ones will be ignored. But the 2014 Aquarius horoscope warns you that with all the stress be sure to make time for enjoyment. On July 16 Jupiter arrives in your house of relations. Marriage may be appealing to you at present. Single people may have others trying to find them a good match. Aquarians who are in a serious relationship may choose to marry. July 24 may be the date of formal commitment. On August 18 or December 14 the intention to wed could be expressed. The 2014 Aquarius love predictions indicate that those already partnered will find being together special on those days. Nothing you may do will please your family at the moment. They’re demanding that you do everything better. All Aquarians will be under immense scrutiny at this time. Things may be a bit too much even for the elusive Aquarian. Saturn will demand that his teachings be applied now. Look at your connections and move forward using these strengths. An unbelievably wonderful job may come to you on April 18 when Venus in conjunction with Jupiter is aiding you. Everything falls into place to allow growth in the Aquarian income. Although you may meet a very important buyer the most significant aspect will be your drive to become your very best. May 6 and June will bring chances to gain an advantage at work. Be prepared to show how you helped the bottom line at work if you wish to be promoted. Cancer has been in your House of career and well being, from June 2013. You may be seeking both better career option and new suppliers and coworkers. Your business may need additional workers and customers. The Aquarius career forecasts for 2014 predict that a partner may bring good things to your business. But you are the public face presently. You will become aware of someone who is working against you. You will find that with Jupiter working for you, others will send benefits to you. And those you loved to work with previously will speak well of you. Beneficial changes will occur post November 13, 2014. For the self-employed free PR may be provided. Saturn retrograde from March to July may change your position. An ex-boss may request to rejoin their company. There could be the option to create a new company. If you choose to form a company in the long-term you’ll find success. A guide together with your excellent skills will lead you to monetary success. While you may fear failure, success is also scary. The Aquarius finance will only get better in 2014. You will come into good fortune towards the middle of the year. In the early months, speculation and trading will give you benefits. Your well-being is good at present. The playful techniques you are using to eliminate bad habits are making it easier. In April a retreat to a spa will allow you to re-balance career and life. 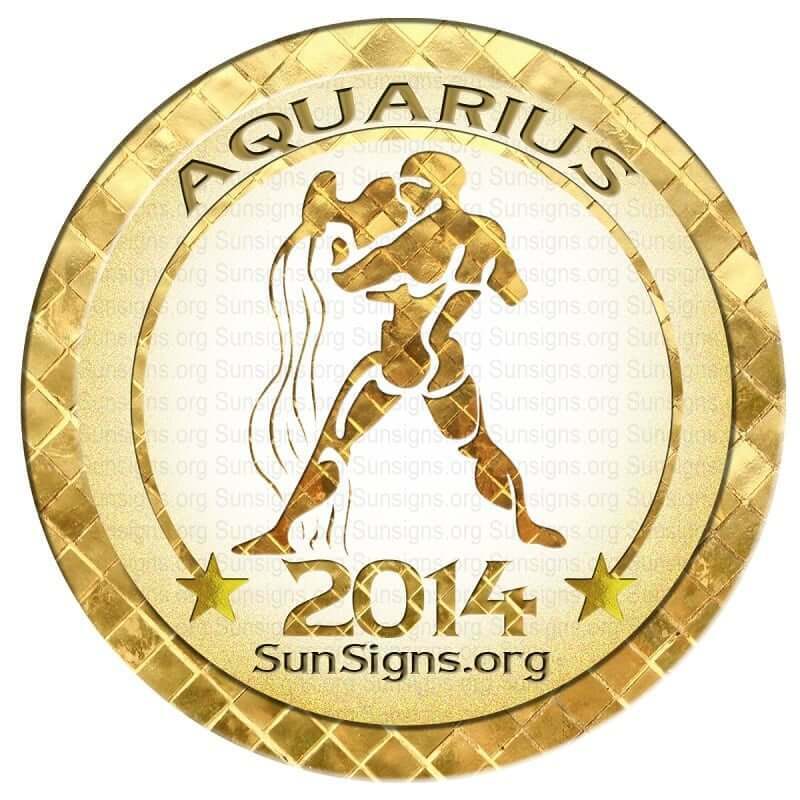 The general view of 2014 for Aquarius is very busy but favorable. Keep your focus on the good things. Be positive and everything will work out for you. You will need to bring equilibrium in your life in January. February will be an exciting and happening month. March will be a fast month but you need to think before making important family decisions. April will not be a good month for career. Focus on family and relationships. May will be stressful and full of problems. June will be a confusing month on all fronts. Health will be delicate in July. Change in jobs is on the cards. Calculated financial risks will pay off in August. Health will get better. September will be an unsure but successful month. Love is in the air for the Aquarians in October. November will be all about balancing love, work and family. December 2014 will be a competitive month. Plan accordingly.